Search for a Name, Unit, and Rank. Or any combination thereof. Example: Unit = Shannon and Rank = AB. various fields, it may be helpful on a mobile device with limited screen space. 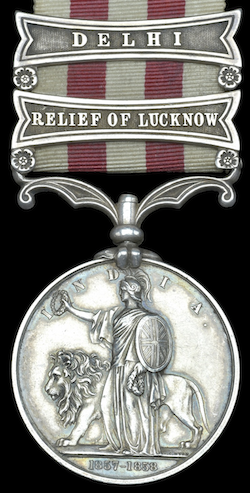 The Indian Mutiny Medal was a campaign medal approved in 1858 for issue to officers and men of British and Indian units who served in operations in suppression of the Indian Mutiny. DB is based on list 1903. March 2019. 90 new entries. Total of 7693.